Located in Walnut Creek, CA, our beautiful showroom boasts the largest selection of premium sewing machines in the San Francisco Bay Area. 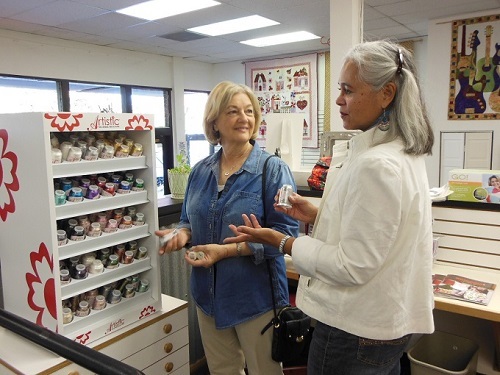 Convenient storefront parking, knowledgeable and friendly staff, expert technicians, large selection of sewing supplies, sewing classes, and a fun and clean environment will make The Sewing Machine Shop a one stop destination for all your sewing needs. Every sewing machine at every price point has been carefully selected because it is considered "Best in Class." Our Low Price Promise guarantees you get the best quality at the lowest price. 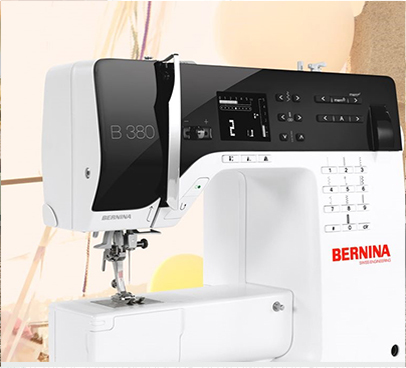 Our selection of machines is the largest in the San Francisco Bay Area and includes legendary brands like Bernina, Janome, Baby Lock, and Juki. We also have a huge selection of premium pre-owned machines. Our beautiful showroom allows our customers to test drive machines side by side to accurately determine which machine will be best for their sewing needs. 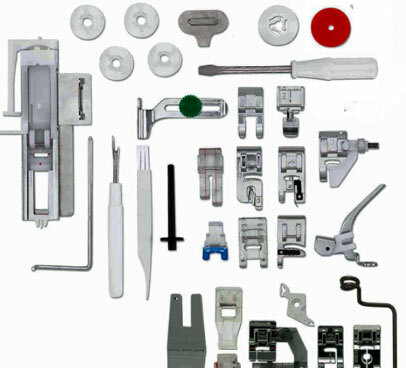 We also complement our machines with quality accessories and supplies. Our vast inventory of thread, genuine parts and accessories and sewing furniture will make The Sewing Machine Shop a one-stop shopping destination. Your Sewing Machine Shop experience starts when you open the front door and are greeted by our friendly and knowledgeable staff. Their sole purpose is to make sure you enjoy your time with us. We are well aware that you have many choices of where to shop. You will be treated with respect and will feel our gratitude for you having chosen to shop with us. You will be in a clean and organized environment where you can relax and focus on the task on hand. Whether you need a new machine, a pack of needles, or just to get expert advice, our team of professionals will exceed your expectations of what premium customer service should be. 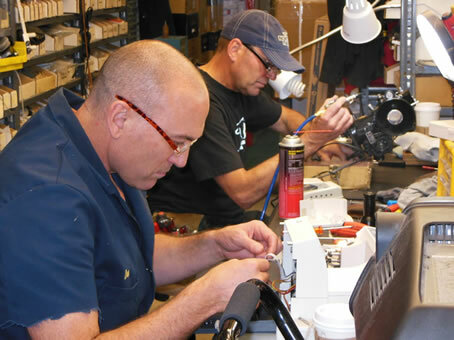 With over 55 years of combined experience, we are among the elite sewing machine technicians in the United States. Over our careers we have repaired and serviced an astounding seventy thousand sewing machines. We continue to receive factory training on current state-of-the-art computerized sewing machines. Some of the professional companies that have entrusted their industrial sewing machine fleet to our care are The North Face, Levi Straus, Nordstroms, North Sails, AC Transit, and Bart. Whether you have a vintage treadle machine or a top of the line serger, computer sewing or embroidery machine, we will be able to make it perform like it just came out of the box. My series of articles called "From the Bench" offers helpful tips and sage advice on topics that resolve the most common problems we see from our customers. Purchasing your machine from The Sewing Machine Shop is just the beginning. The modern sewing machine has amazing capabilities to unlock your creative potential. Our education department is set up to do just that. 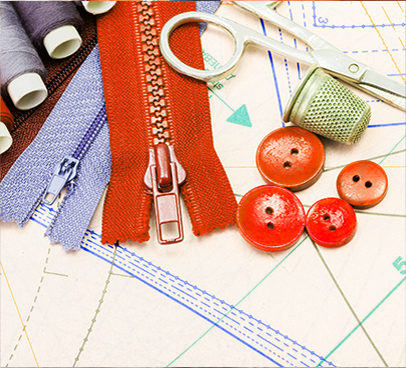 Our "Getting Started" class is the first step and foundation of your sewing journey. 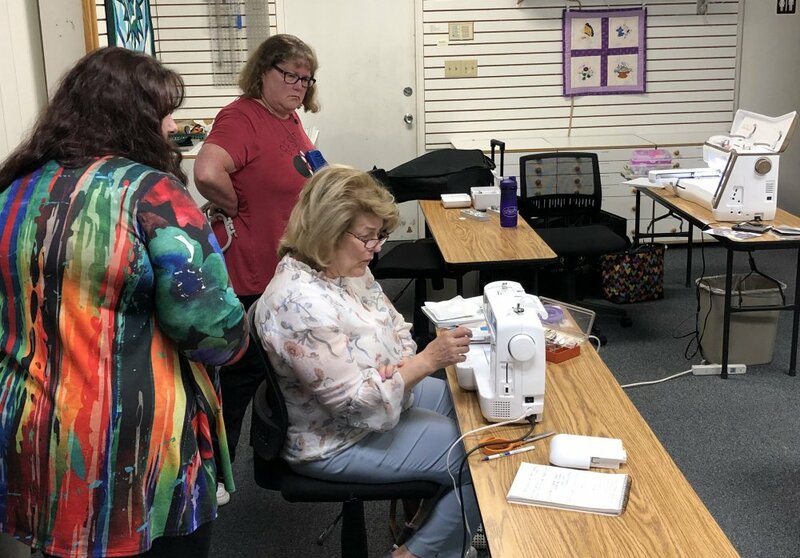 These classes teach you how to navigate your machine and learn all the key features that will make sewing fun and easy. You will also be shown how to take care of your machine to keep it performing at its best. From there you can take a vast array of classes in the key areas of modern sewing; Machine Techniques, Quilting, Embroidery and Serging. Join one of our sewing classes and enjoy a sewing experience with like minded sewers to learn new techniques, share ideas, and laugh in a highly social environment.